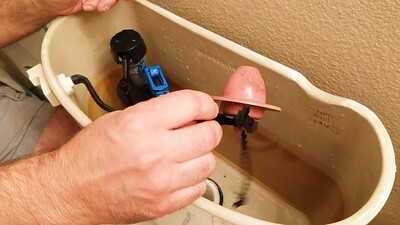 One of the worst plumbing nightmares is clogged drains. 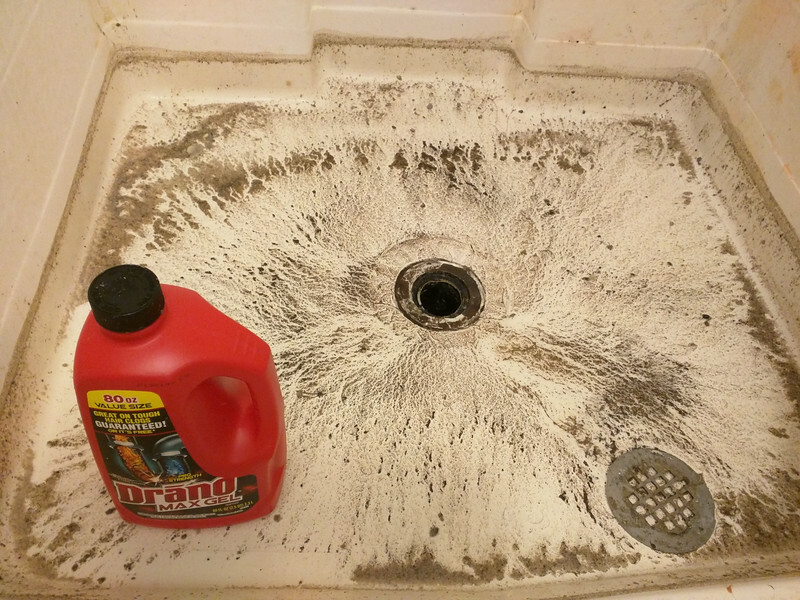 Soap scum, hair, dead skins any other disgusting trash could cause shower drains to clog. Absolutely not a good feeling when water is not draining during shower. Well, this happened to us! Fortunately, there are many DIY solutions for this situation and many products that could help. Of course, one of the most famous one is Drano! Question is, does Drano work? Let's find out! As water was not draining, Dave immediately tried to use a heavy duty plunger to unclog the drain. While we saw some movement, but at the end of the day, no luck. Then we decided to try Drano before calling for professional help! 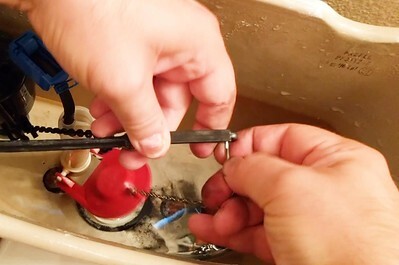 The one we used is the DRANO MAX GEL. 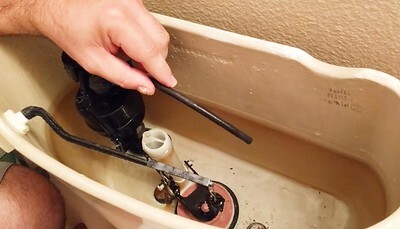 Per the Drano website, this works well for completely clogged drain. Exactly what we need. With skepticism, I went to ACE Hardware and got a bottle of Drano. The best part was it was on sale! Perfect. Following the instruction, I poured in half of the bottle. Hopefully, Drano comes to rescue! Waited about half an hour, no quite work. 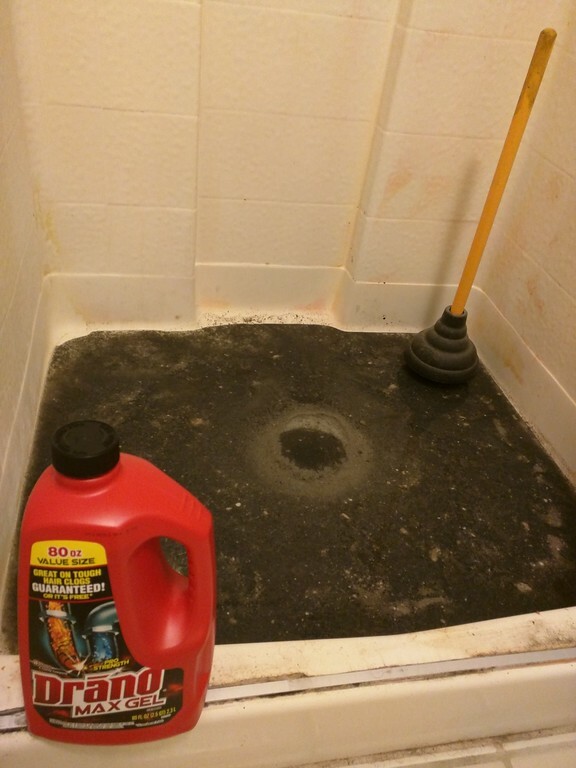 I thought, maybe it's being diluted and the Drano was not getting into the clogged area. So, I used a funnel to guide the Drano into the drain. Another key was, pour it in very slowly. After another half an hour, still no movement... As I was about to give up and try to find a plumber. Whoa la! Heard a loud noise coming from the shower, I ran to check it out at once and here is what I saw! All the water was gone! Thank you Drano. Fantastic job! 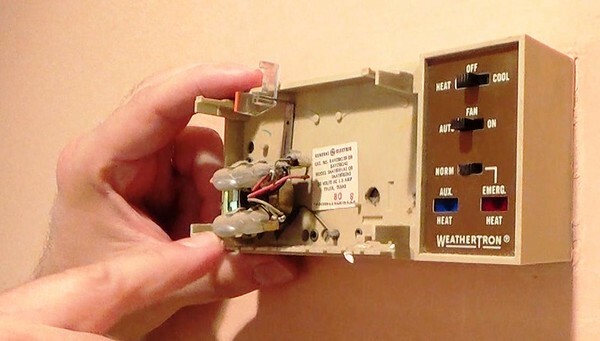 With older house, a lot of time the thermostat in it would be the older version. They works ok, but not as efficient and accurate. 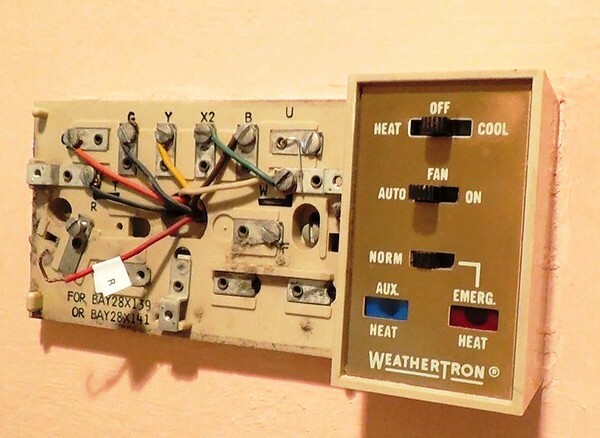 Replacing it to a programmable electric thermostat would be recommended. There are many choices available in the market place. Depending on your budget, you could choose a more fundamental unit that gives you the basic functionalities. 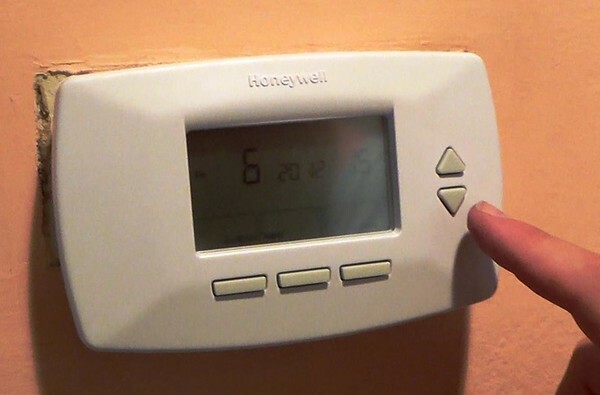 With higher budget, there are more options such as the WiFi/Smart one like Nest, Ecobee or Honeywell WiFi Smart thermostats. 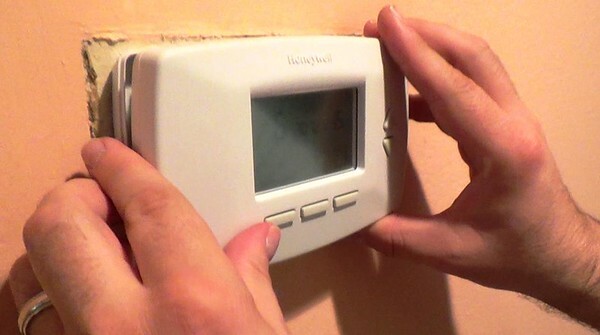 Also, check with manufacturer to make sure these new Smart thermostats is compatible with your existing systems. 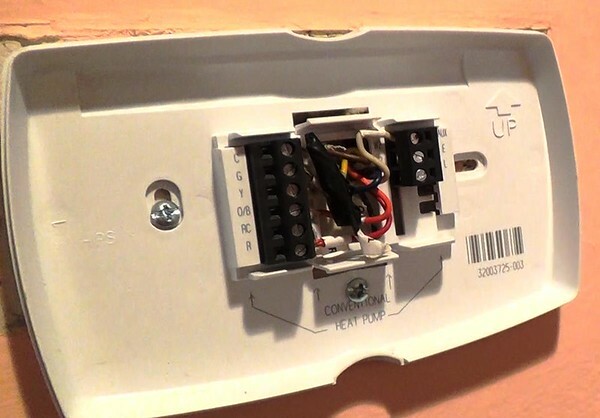 For example, check this link for the Nest Incompatibility Guide. 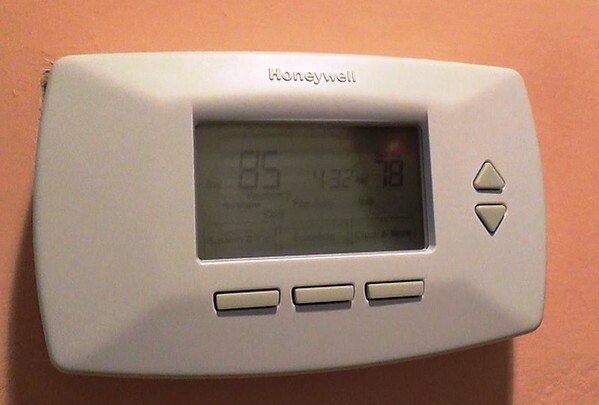 In this project, we installed the Honeywell RTH6350 5-2 Programmable Thermostat. This particular one is simple and easy to use, within the budget we are working with. Step 1. 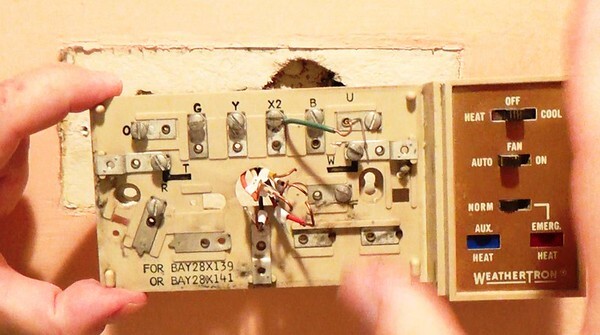 Turn off circuit breaker for the Air Conditioner. 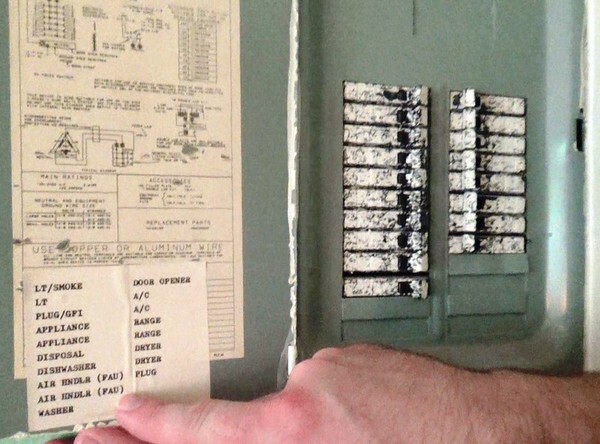 Turn off the ones for the AC and the Air Handler. The AC circuit breaker is for the outside Air conditioning unit, and the Air Handler is for the furnace and broiler inside. Step 2. 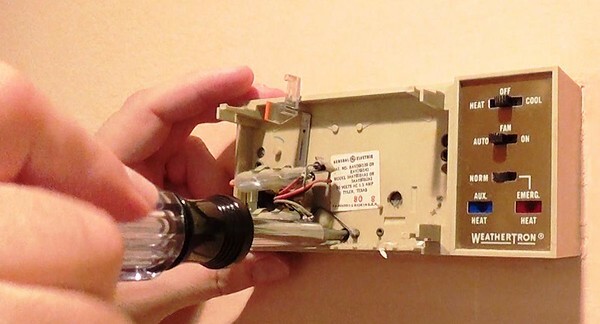 Remove the old Thermostat. 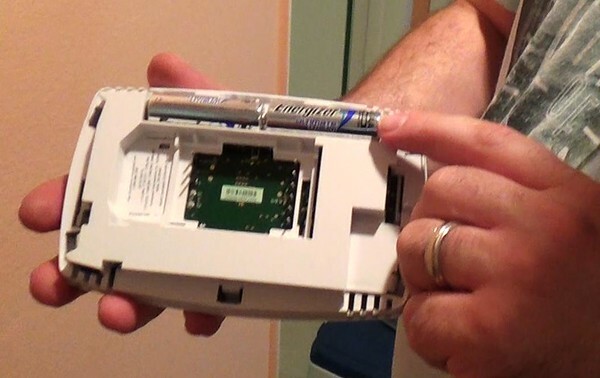 First, take off the cover, then, remove unit from the wall. 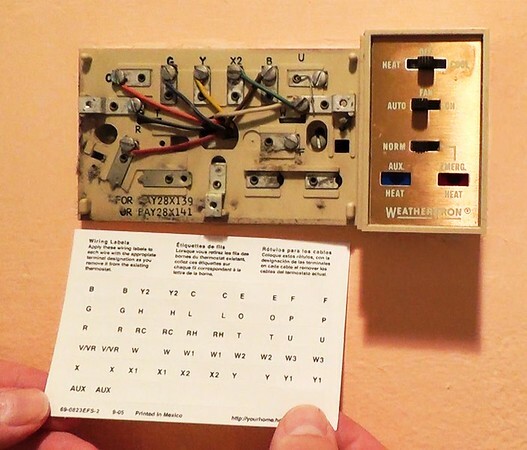 Caution with older thermostat. There could be glass bulbs on it that has mercury in it. Be careful when removing the unit from the wall. Step 4. 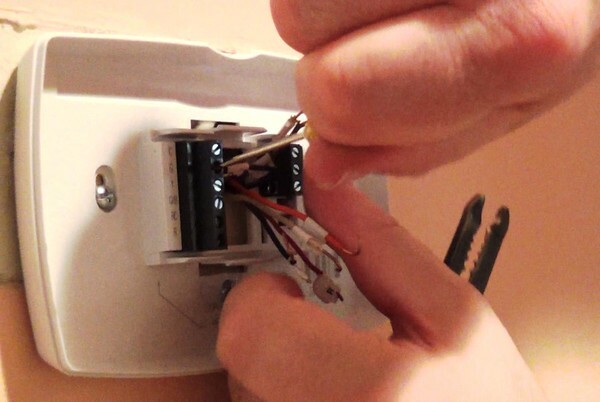 Then, you should be able to see all the wires for the unit. First, we need to label them, with labels provided from the new unit. Label each of the wires with the corresponding letter code.. Step 5. 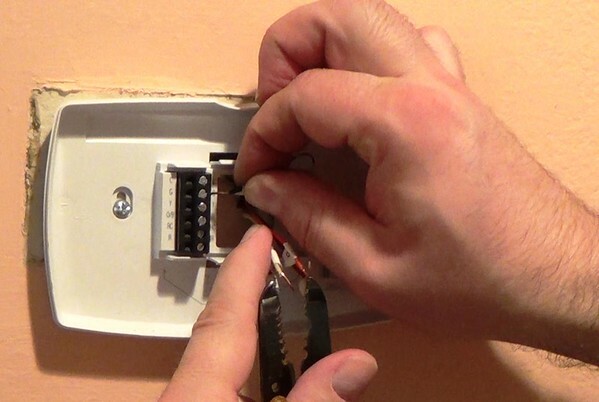 Now that with all the wires labelled, undo the two screws attaching the unit to the wall to remove the unit. Step 6. 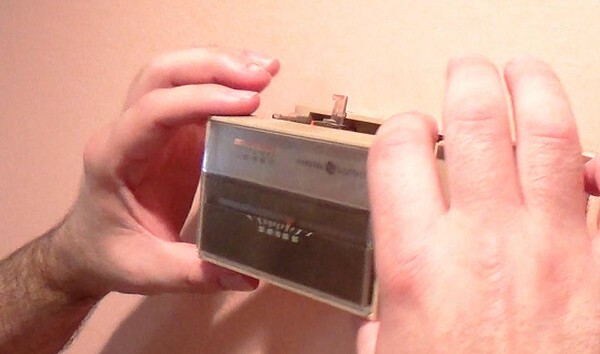 Open new unit, mount the back plate to the wall. Step 7. 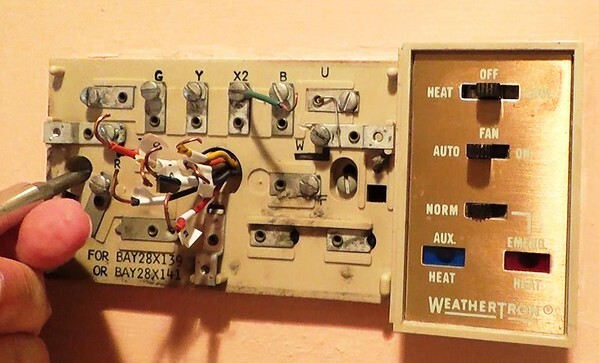 Connect all the wires with matching letter code. 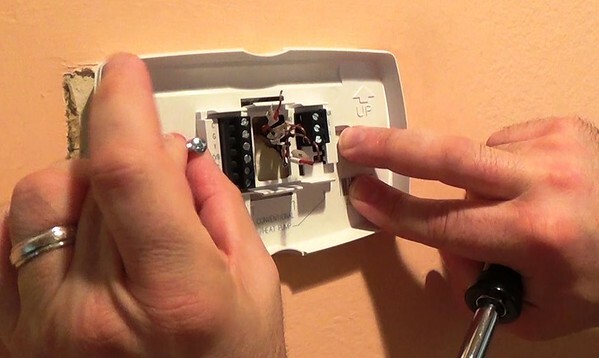 For any extra wire that is no longer needed with the new Thermostat, tape end carefully and leave it in the unit. Step 8. Install battery to new unit. Step 9. 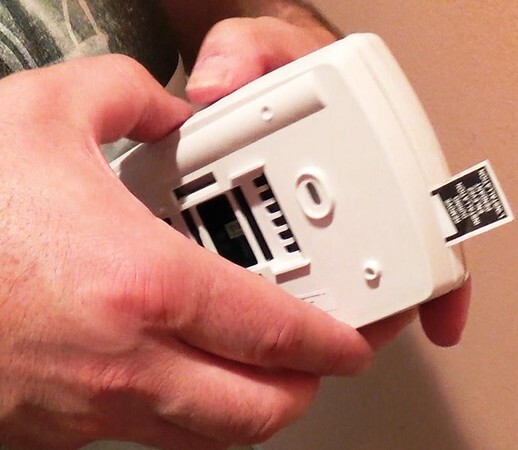 Plug unit onto the back plate. Step 10. 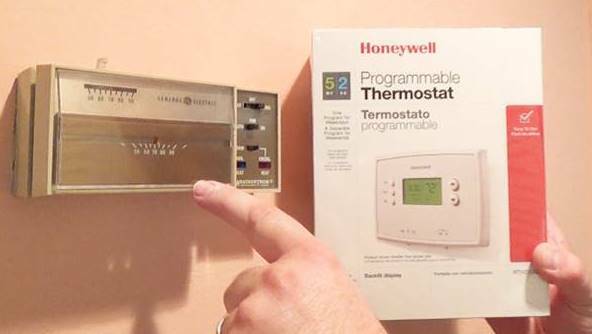 Program the new Thermostat. Installation is done. Now, wait for it to turn on and enjoy the new unit! Take a look at the video and we look forward to your feedback! 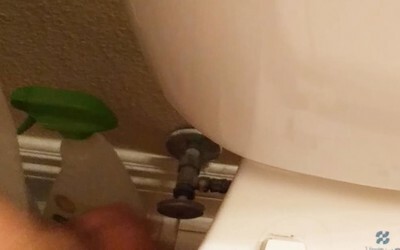 How many of us would keep hearing that water noise, only to realize it's the runny toilet? It is annoying, but it is a simple and easy fix! Dave is going to show us how to identify the problem and fixing it by changing the Flapper Valve. 2. Determine the cause. Check if it's only due to the flapper valve. 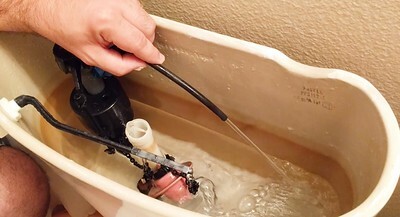 First, remove the hose to fill the toilet bowl. 3. Flush the toilet. 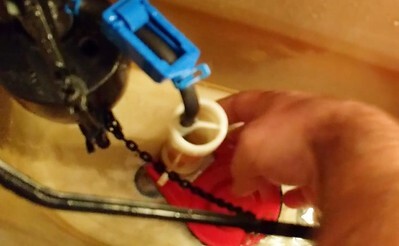 If water still running to the toilet bowl, that means it is the flapper valve that's leaking. 4. Once it has been determined that it's the flapper valve. Shut the water to the toilet bowl. 5. 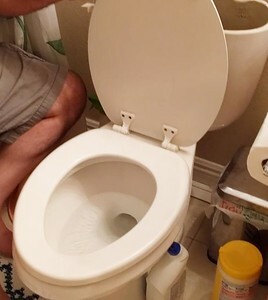 Flush the toilet to let the water out from the tank. 7. Put the new flapper valve in!